Tell us your color choices in the "Customer comments" section. Selection includes a basic, iridescent colored weight. 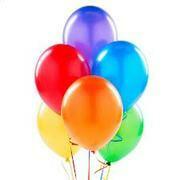 Prices includes tax for these balloons.